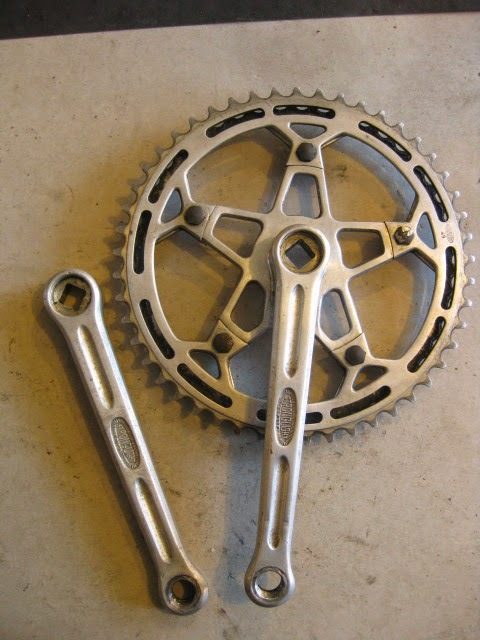 One of my favorite crank sets offered for sale today. 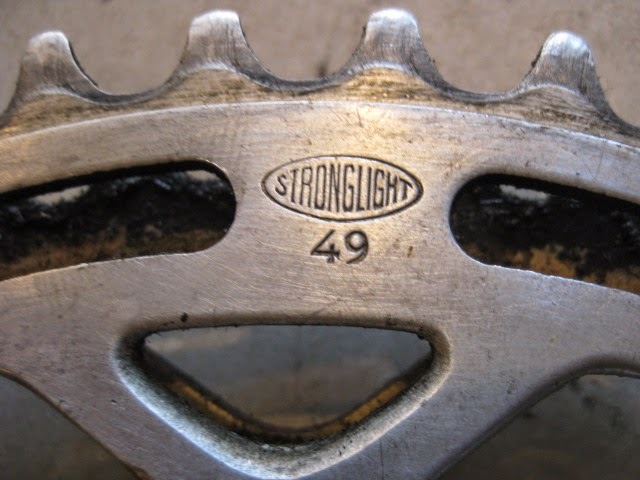 It is a Stronglight 57 Super Competition, which was introduced in 1957. It uses a 122mm BCD as opposed to the 49D BCD of 50.4mm. 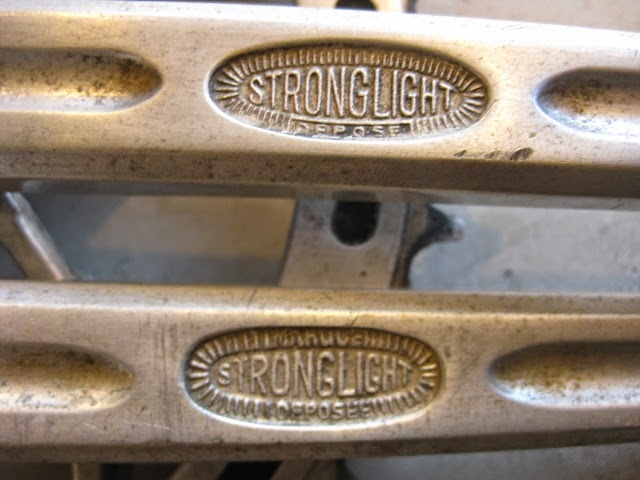 The spider is cast as part part of the crank itself in the now standard “star” pattern. 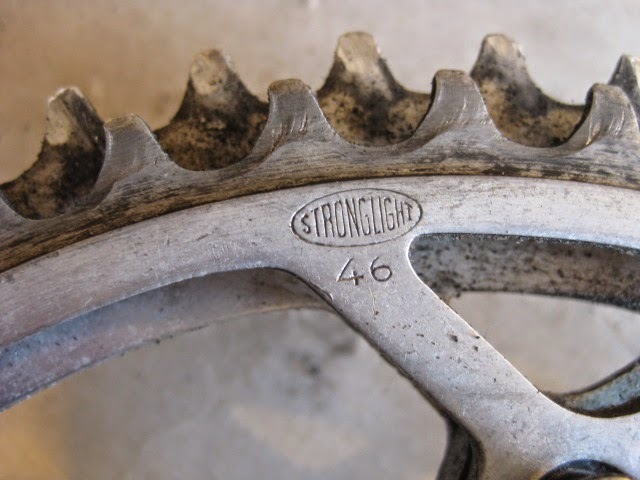 This set has English pedal threads and utilizes a half step chain ring combo of 49 / 46T. 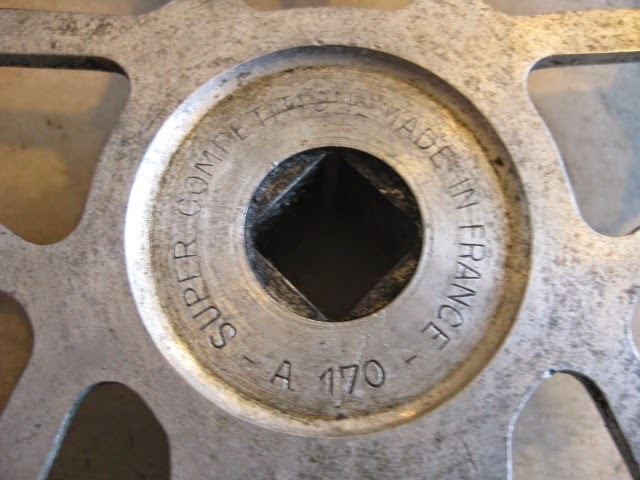 the arms are 170mm long. This will polish up beautifully. Don’t miss out on this opportunity to own a classic of the era! 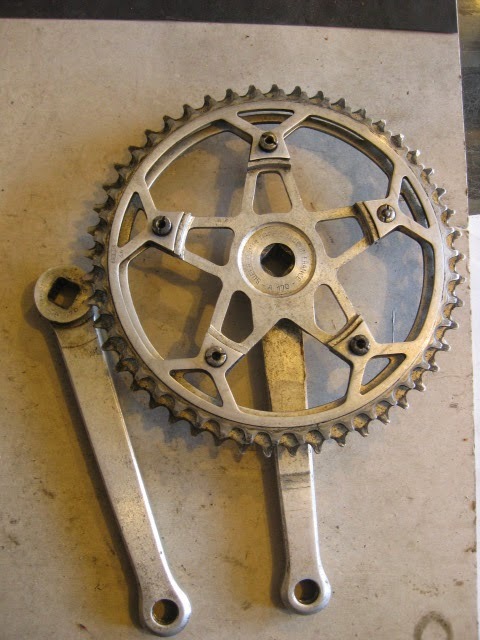 Email at: bikeville@gmail.com for price and S/H quote, or with any questions.